Wireshark 1.4.3 & Wireshark 1.2.14 Latest Version ! This update fixes many vulnerabilities such as the one with MAC-LTE dissector and the ENTTEC dissector. The following protocols have been updated – AMQP, ASN.1 BER, ASN.1 PER, CFM, CIGI, DHCPv6, Diameter, ENTTEC, GSM A GM, IEEE 802.11, InfiniBand, LTE-PDCP, LTP, MAC-LTE, MP2T, RADIUS, SAMR, SCCP, SIP, SNMP, TCP, TLS, TN3270, UNISTIM and WPS. You can now read captures via the Endace ERF, Microsoft Network Monitor and VMS TCPtrace file formats. For a complete list of changes, please refer to the 1.4.3 release notes. 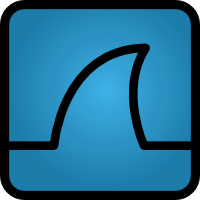 Download Wireshark v1.4.3 & Wireshark v1.2.14 here.